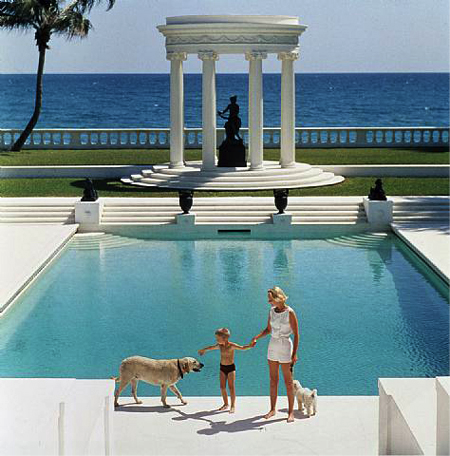 Slim Aarons (1916-2006) was a notable American photographer, renowned for his photographs that documented the lives of socialites and celebrities. 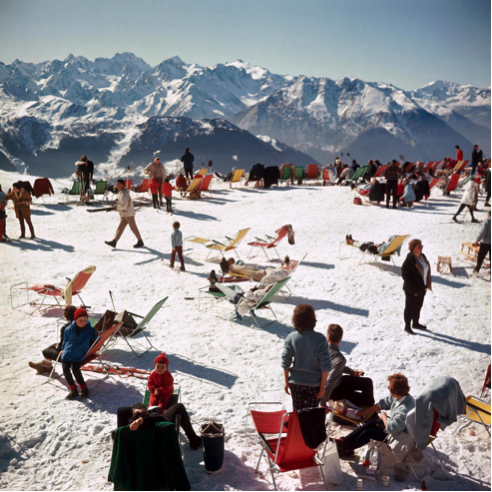 His mantra was, “attractive people doing attractive things in attractive places.” His photographs were used in famous publications such as Life, Town & Country, Travel & Leisure, and Harper’s Bazaar. When he was 18 years old, Aarons enlisted in the U.S. Army. He worked as a photographer at West Point and eventually became a combat photographer during World War II. After having spent years witnessing carnage and suffering, Slim decided he wanted to document the glamorous lives of the elite, filled with elegance, affluence, and indulgent leisure. Aarons preferred to call himself a “storyteller,” rather than a photographer. Often working without stylists or special lighting, he chose to capture his subjects in their own attire and setting. In 1974, Aarons published a picture book titled A Wonderful Time: An Intimate Portrait of the Good Life. However, this was also the year that Nixon resigned, and people seemed disinterested in looking at photographs of trimmed lawns, exclusive beaches, and the idle rich at play. As a result, the book did not sell well and was rejected, being called “repelling” by many. 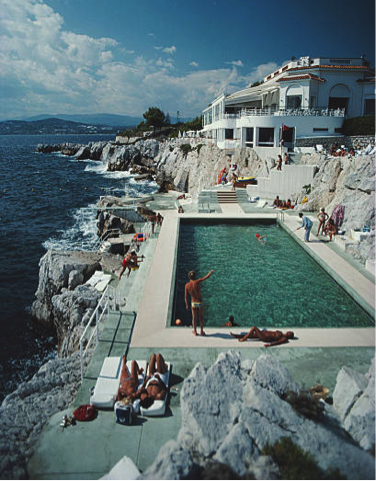 In 1997, Mark Getty, who had just launched the Getty Images photo archive, approached Aarons looking to purchase his photos. At this point in time, the counterculture of two decades prior that had repudiated Aarons’ photographs and his book had quieted down. 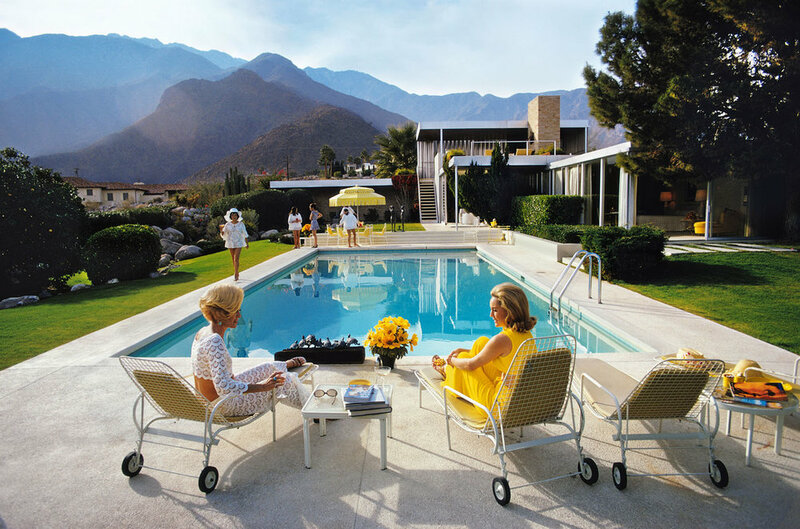 People were now interested in admiring this era of style, private villas, and exclusivity. Enamored with this peak into privilege, everyone forgot the unpleasant truths behind the world he depicted. His photographs were essentially an excessive display of wealth, and they presented a society that many, including Jewish and African American people, were not permitted to be a part of. As popular as the “Slim renaissance” was, Aarons decided not to continue with his photographic career. His center theme of “society” ceased to exist, so he instead turned to digging up his old photographs and reminiscing on those “better,” (or worse?) times. Aarons passed away from a heart attack and stroke in 2006.